W. W. Gunter household, 1860 U.S. Census, Wood County, Texas, population schedule, Quitman PO, sheet 357, dwelling 178, family 177, age 33, occupation Merchant. William W. Gunter household, 1870 U.S. Census, Cooke County, William W. Gunter, population schedule, Precinct 5 (Gainesville), dwelling 255, family 27, age 43, occupation Frmer, Ret Merchant Dry Goods. Wm. W. Gunter household, 1860 U.S. Census, Heard County, Gerogia, population schedule, Franklin, sheet 182, dwelling 651, family 667, age 23, occupation Merchant. Virginia Births and Christenings, 1853-1917; Viewed on FamilySearch, online www.familysearch.org, FamilySearch (https://familysearch.org/ark:/61903/1:1:X56W-JRM : accessed 23 December 2015), C.R. Burks in entry for Harry H. Burks, 26 Mar 1878; citing Rockbridge, Virginia, reference v 2 p 10; FHL microfilm 33,796. Chas. R. Burks household, 1880 U.S. Census, Rockbridge County, Virginia, population schedule, Natural Bridge, ED 066, sheet 73C, dwelling 413, family 416, age 46, occupation Physician. Ancestry.com. Virginia, Select Marriages, 1785-1940 [database on-line]. Provo, UT, USA: Ancestry.com Operations, Inc, 2014. Original data: Virginia, Marriages, 1785-1940. Salt Lake City, Utah: FamilySearch, 2013., online search.ancestry.com, Father: Saml. C. Burks; Mother: P. M. Burks; Spouse: Bette F. Stoners; FHL Film Number: 33797. Samuel Burks household, 1850 U.S. Census, Rockbridge County, Virginia, population schedule, District 51, dwelling 453, family 1037, 1037. Charles B(R) Burks household, 1860 U.S. Census, Rockbridge County, Virginia, population schedule, District 5, sheet 180, dwelling 2138, family 2138, ag 16, occupation Physician. Samuel Burks household, 1870 U.S. Census, Rockbridge County, Samuel Burks, population schedule, Natural Bridge, dwelling 532A, family 334, age 82, occupation Farmer. Charles R. Banks household, 1900 U.S. Census, Rockbridge County, Charles R. Banks, population schedule, Natural Bridge, ED 0098, sheet 3B, dwelling 60, family 60, age 66, occupation Physician. John Gorman household, 1850 U.S. Census, Wyandot County, ohio, population schedule, Antrim, sheet 242, dwelling 62, family 1110, age 52,occupation Farmer. J. A. Gorman household, 1880 U.S. Census, Page County, Iowa, population schedule, Nebraska, ED 155, sheet 450B, dwelling 56, family 56, age 46, occupation Farming. James Gormand household, 1870 U.S. Census, Atchison County, James Gormand, population schedule, Clark, dwelling 394B, family 207, age 36, occupation Farmer. James Gorman household, 1900 U.S. Census, Page County, James Gorman, population schedule, Nodaway, ED 0095, sheet 11B, dwelling 258, family 258, age 66, occupation Retired Farmer. Ancestry.com. Iowa Cemetery Records [database on-line]. Provo, UT, USA: MyFamily.com, Inc., 2000. Original data: Works Project Administration. Graves Registration Project. Washington, D.C.: n.p., n.d., online at search.ancestry.com, James A. Gorman. Source: 43462 Gravestones copied by Graves Registration Project, W. P. A.; Page Number: 303. Michigan, Marriage Records, 1867-1952 [database on-line]. Provo, UT, USA: Ancestry.com Operations, Inc., 2015. Online at Ancestry.com, online search.ancestery.com, John Clinton and Arie Rube. Record Number: 47; Film: 64. , Marriage Place: John Clinton and Arie Rube. Record Number: 47; Film: 64. Ancestry.com. Michigan, Deaths and Burials Index, 1867-1995 [database on-line]. Provo, UT, USA: Ancestry.com Operations, Inc., 2011., online search.ancestry.com, FHL Film Number: 2110160. Levi Rupe household, 1900 U.S. Census, Eaton County, Levi Rupe, population schedule, Sunfield, ED 0078, sheet 16A, dwelling 350, family 352, age 61, occupation Farmer. Levi Rupe household, 1880 U.S. Census, Wyandot County, Levi Rupe, population schedule, Kirby, ED 167, sheet 544A, dwelling 7, age 31, occupation Laborer. Family Search - International Genealogical Index. Ancestral File is a collection of genealogical information taken from Pedigree Charts and Family Group Records submitted to the Family History Department since 1978. The information has not been verified against any official records., online familysearch.org,For FamilySearch: Indexing Project (Batch) Number: C95898-2; System Origin: Germany-VR; Source Film Number: 1047539; 2:1DZ9DZQM. Birth of Katharina Gruenling. Germany, Births and Baptism, 1588-1898 (Deutschland Geburten und Taufen, 1558-1898) database online a FamilySearch, online famlysearch.org, FamilySearch (https://familysearch.org/pal:/MM9.1.1/VH39-LXJ : accessed 21 Aug 2013), Constantin Speck, 23 Sep 1863. Olive Clara Sumner was born in March 1834 at New York.2 She married Thomas Jefferson Ishmael, son of Preston Ishmael and Mary Reynolds, on 12 February 1860 at Grant County, Wisconsin.1 Olive Clara Sumner and Thomas Jefferson Ishmael appeared on the census of 19 June 1860 in Cassville, Grant County, Wisconsin.3 Olive Clara Sumner and Thomas Jefferson Ishmael appeared on the census of 1 June 1870 in Cassville, Grant County, Wisconsin.4 Olive Clara Sumner and Thomas Jefferson Ishmael were divorced at some time after April 1871 at Grant County.5 A divorced Olive Clara Sumner Ishmael, with her two boys, appeared on the census of 28 June 1880 in Cassville, Grant County, Wisconsion.6 She was included in the census of Everett/Earnest Leon Ishmael and Samantha Wagner on 9 June 1900 at Cassville, Grant County, Wisconsin.2 Listing herself as a widow, Olive appeared as head of house on the census of 16 April 1910 in Cassville, Grant County, Wisconsin; On the 1910 census, Olive indicated that she had born 5 childern and only 2 were still living.7 An 85 year old widow, Olive was included in the census of her son and daughter-in-law, Everett and Samantha Ishmael on 17 January 1920 at Cassville, Grant County, Wisconsin; Living with them was Everett's 85 year old mother, Olive.8 Olive died in 1926 at Cassville, Grant County, Wisconsin; Poste at Find A Grave: "Only daughter of five known children of Phillip Wagner (1820,PA - 1905,WI) and Emily Ball (1822,PA - 1905,WI). Sometime about 1855 the family moved from Pennsylvania to Grant Co., Wisconsin; the parents remained in the county for the rest of their lives and presumably are buried there. Married Everett Leon Ishmael 16 Oct 1895 in Grant Co., Wisconsin. This may have been her second marriage; the 1900 Federal census shows her as the mother of two children with one still living, but no child living with her. Everett Ishmael household, 1900 U.S. Census, Grant County, Wisconsin, population schedule, Cassville, ED 26, sheet 9B, dwelling 208, family 210, age 37, occupation Clam Fisher. Jefferson Ishmael household, 1860 U.S. Census, Grant County, Wisconsin, population schedule, Cassville, sheet 46, dwelling 365, family 351, age 26, occupation Livery Stable Keeper. Jefferson Ishmael household, 1870 U.S. Census, Grant County, Wisconsin, population schedule, Cassville, sheet 84B, dwelling 24, family 27, age 36, occupation Saloon Keeper. Olive Ishmael household, 1880 U.S. Census, Grant County, Wisconsin, population schedule, Cassville, ED 101, sheet 64B, dwelling 198, family 200, age 44, occupation Keeping House. Olive Ishmael household, 1880 U.S. Census, Grant County, Wisconsin, population schedule, Cassvile, ED 101, sheet 64B, dwelling 193, family 200, age 44, occupation Keeping House. Mrs Olivie C Ishmael household, 1910 U.S. Census, Grant County, Mrs Olivie C Ishmael, population schedule, Cassville, ED 17, sheet 7, dwelling 155, family 155, age 76. occupation Hair Dresser - at home. Everett Ishmael household, 1920 U.S. Census, Grant County, Everett Ishmael, population schedule, Cassville, ED 95, sheet 1B, dwelling 27, family 27, age 57, occupation not listed. Find A Grave, database and immages, online www.findagrave.com, Olive C Ishmael, Find A Grave Memorial no: 71581097. Virginia Marriages,1785-1940, database, FamilySearch, online http://familySearch.org, FamilySearch (https://familysearch.org/ark:/61903/1:1:XRX1-JQQ : 11 February 2018), Calvin Flanery and Nancy Dingas, 18 Feb 1836; citing Scott, Virginia, reference 337187; FHL microfilm 337,187. Freeling Dockery household, 1900 U.S. Census, Scott County, Virginia, population schedule, Floyd District, ED 67, sheet 5A, dwelling 62, family 65, age 44, occupation Farmer,. Virginia Marriages,1785-1940, database, FamilySearch, online http://familySearch.org, FamilySearch (https://familysearch.org/ark:/61903/1:1:XR9F-Q3R : 11 February 2018), Calvin Flanery in entry for Freelin Dockery and Lourizy Flanery, 13 Nov 1856; citing Scott, Virginia, reference 337187; FHL microfilm 337,187. Freeling Dockery household, 1860 U.S. Census, Scott County, Virginia, population schedule, Estillville P.O., sheet 193, dwelling 1254, family 1254, age 25, occupation Farmer. Frealden Dockery household, 1870 U.S. Census, Scott County, Frealden Dockery, population schedule, Floyd District, dwelling 17, family 124, age 37, occupation Farmer. Emery H Osborn household, 1910 U.S. Census, Scott County, Virginia, population schedule, Floyd, ED 69, sheet 2B, dwelling 34, family 34, age 30, occupation Farmer - General Farm. Pioneer Immigrants to Utah Territory [database on-line]. Provo, UT, USA: The Generations Network, Inc., 2001. Original data: Questionnaires compiled by Sons of the Utah Pioneers in Salt Lake City., online www.ancestry.com, Page: 002004, Susan Lucretia Lowry Petty Petty. Stephen Webb household, 1850 U.S. Census, McLean County, Illinois, population schedule, Horn Grove, dwelling 32B, family 702, 719. Illinois Marriages, 1815-1935 online at FamilySearch., online familysearch.org, FamilySearch (https://familysearch.org/ark:/61903/1:1:V2GW-2CN : 29 December 2014), Emilie Webb in entry for James Webb and Addie M. Russell, 27 Aug 1905; citing Bloomington, Mclean, Illinois; FHL microfilm 1,401,959. Find A Grave - Memorial Page, online www.findagrave.com, Milton S. Webb - Find A Grave Memorial# 145406195. Milton L. Webb household, 1880 U.S. Census, Mc Lean County, Illinois, population schedule, Dry Grove, ED 157, sheet 88B, dwelling 130, family 131, age 45, occupation Farmer. Stephen Webb household, 1860 U.S. Census, McLean County, Stephen Webb, population schedule, Dry Grove, dwelling 83, family 569, age 62, occupation Farmer. Illinois, Deaths and Stillbirths,1916-1947 - viewed at FamilySearch, online www.familyserach.org, FamilySearch (https://familysearch.org/ark:/61903/1:1:N3YZ-FYQ : 27 December 2014), Milton S. Webb in entry for Sarah P. Dulin, 18 May 1920; Public Board of Health, Archives, Springfield; FHL microfilm 1,562,484. John Emmerson household, 1900 U.S. Census, Stearns County, Minnesota, population schedule, Sauk Centre, ED 0177, sheet 29A, dwelling 499, family 521, Age 65, occupation Farmer. John A. Brackenridge household, 1850 U.S. Census, Warrick County, John A. Brackenridge, population schedule, Boon, dwelling 99, family 51, age 50, occupation Lawyer. James Brachenridge household, 1900 U.S. Census, Travis County, James Brachenridge, population schedule, Austin, ED 87, sheet 7B, dwelling 124, family 131, age 66, occupation Lawyer. U.S. Passport Applications, 1795-1925 [database on-line]. Provo, UT, USA: Ancestry.com Operations, Inc., 2007. Original data: Selected assports. National Archives, Washington, D.C.,; viewed online at Ancestry.com., online www.ancestry.com, No. 5851. American Civil War Soldiers [database on-line]. Provo, UT, USA: The Generations Network, Inc., 1999. Original data: Data compiled by Historical Data Systems of Kingston, MA form the following list of works., online www.ancestry.com, Film Number: M227 roll 4. Texas Marriage Collection, 1814-1909 and 1966-2011 [database on-line]. Provo, UT, USA: The Generations Network, Inc., 2005. Original data:, online www.ancestry.com, Source: Texas Marriages, 1851-1900. James Breckenridge household, 1880 U.S. Census, Hays County, James Breckenridge, population schedule, Precinct 4, ED 79, sheet 90B, dwelling 114, family 121, age 46, occupation Farming. Wm R. Pitts household, 1970 U.S. Census, Cherokee County, Wm R. Pitts, population schedule, Pilot, dwelling 472B, family 49, age 36, occupation Farm. Public Member Tree, online search.ancestry.com, Anderson Family Tree. 1885 US Territorial census, W. R. Pitt, age 52, Farmer born in New York. W. R. Pitt household, 1900 U.S. Census, Sonoma County, California, population schedule, Santa Rosa, ED 172, sheet 4B, dwelling 92, family 92, age 66, occupation Farmer. Frank Walkup household, 1900 U.S. Census, Alameda County, California, population schedule, Alameda, ED 0320, sheet 3B, dwelling 301, family 337, age 39, occpuation Chair Apolstry - Laborer. Elijah Groom was also known as Elijah Grome.2 He was born on 25 June 1834 at England.2,1 He was the son of William Groom and Susan Coleman.2,3 Elijah Groom was included in the census of William Groom and Susan Coleman on 21 September 1850 at District 24, Grant County, Wisconsin.3 Elijah Groom married Sarah "Sally" Hammonds circa 1857 at Wisconsin.2 Elijah Groom and Sarah "Sally" Hammonds appeared on the census of 20 June 1860 in Cassville, Grank County, Wisconsin.2 Elijah Groom died on 2 April 1903 at Wisconsin at age 68; Posted at Find-A-Grave "Civil War Veteran. Military records show he enlisted in the 25th WI Infantry, Co. C on 9 Aug 1862; was discharged 7 Jul 1865.1"
Find A Grave - Memorial Page, online www.findagrave.com, Elijah Groom - Find A Grave Memorial# 12839667; Sir Name "Groom" on his head stone. Elijah Grome household, 1860 U.S. Census, Grant County, Wisconsin, population schedule, Cassville, sheet 77, dwelling 390, family 370, age 25, occupation Miner. William Groom household, 1850 U.S. Census, Grant County, Wisconsin, population schedule, District 24, dwelling 75A, family 1103, 1103. Elkanah Flanary household, 1850 U.S. Census, Lee County, Elkanah Flanary, population schedule, District 31, dwelling 339B, family 528, age 42, occupation Farmer. Jas M. Flannary household, 1860 U.S. Census of Fairfax County Virginia, Lee County, Virginia, population schedule, Jonesville P.O., sheet 883, family 1416, age 25, occupation Farmer. James M. Flanery household, 1870 U.S. Census, Lee County, Virignia, population schedule, Yokum Station, sheet 828, dwelling 268, family 268, age 36, occupation Farmer. James M Flanary household, 1900 U.S. Census, Lee County, Virginia, population schedule, Hursts Store, ED 0030, sheet 1A, dwelling 8, family 8, age 65, occupation Farmer. Rev John Dinwiddie was born on 1 July 1834 at Campbell County, Virginia.2,3 He was the son of William Walthall Dinwiddie and Nancy Bryan.3 Rev John Dinwiddie married Selina "China" Louise Hunter, daughter of Robert Hunter and Pauline Slaughter, on 1 September 1863.1,2 Rev John Dinwiddie died on 19 July 1898 at Albemarle County, Virginia, at age 64.3 He Posted at Find-A-Grave: "C.S.A.,Entered with University of Virginia,Volunteers.Discharged early in war because of ill health,following typhoid fever; Rev. John Dinwiddie was born in the family home,"Plum Branch", Campbell County, Virginia. He died in the Dinwiddie home at Greenwood Depot. He did not have a middle name but sometimes used the initial "C" to differentiate himslf from his brothers James and Joseph". Genealogies of Kentucky Families from The Register of the Kentucky Historical Society, Vol. II [database on-line] viewed at Ancestry.com, online interactive.ancestry.com, "The Slaughter Family by W.A. Slaughter, page 272. Find A Grave - Memorial Page, online www.findagrave.com, Selina Louisa "China" Plunkett Dinwiddie - Find A Grave Memorial# 128257260. Find A Grave - Memorial Page, online www.findagrave.com, Rev John Dinwiddie - Find A Grave Memorial# 6997682. Yates Publishing. U.S. and International Marriage Records, 1560-1900 [database on-line]. Provo, UT, USA: MyFamily.com, Inc., 2004., online www.Ancestry.com, Source number: 1277.000; Source type: Electronic Database; Number of Pages: 1; Submitter Code: KHW. 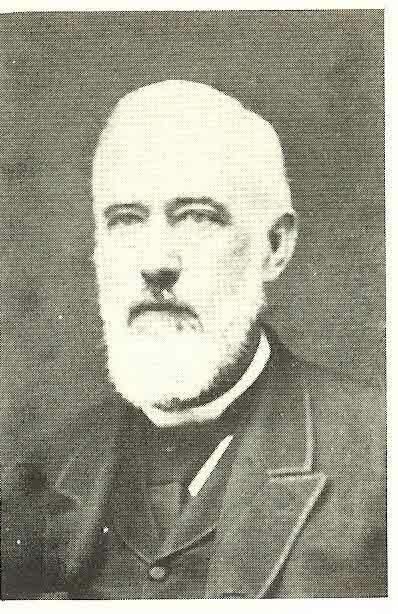 From Wikipedia, the free encyclopedia, online http://en.wikipedia.org, John Hunt Morgan. (June 1, 1825 - September 4, 1864). Confederate general and cavalry officer in the American Civil War. Public Member Tree, online search.ancestry.com, Trishasplace. C.C> Morgan household, 1860 U.S. Census, Fayette County, C.C> Morgan, population schedule, District 1, dwelling 189A, family 1128, age 51, occupation ? From Wikipedia, the free encyclopedia, online http://en.wikipedia.org, A. P. Hill. Ambrose Powell Hill (November 9, 1825 - April 2, 1865). Kentucky Marriages, 1797-1865 Compiled by G. Gleen Clift, Reprinted from THE REGISTER OF THE KENTUCKY HISTORICAL SOCITEY - viewed at Ancestry.com, online search.ancestry.com, Page: 168, Calvin M. McClung, of St. Louis, to Miss Kitty G., elsest daughter of late Col. C.C. Morgan, of Lexington, Ky.
Yates Publishing. U.S. and International Marriage Records, 1560-1900 [database on-line]. Provo, UT, USA: MyFamily.com, Inc., 2004., online www.Ancestry.com, Source Citation: Source number: 1411.000; Source type: Electronic Database; Number of Pages: 1; Submitter Code: KHW. Alexander Forthsyh household, 1870 U.S. Census, Jefferson County, Alexander Forthsyh, population schedule, Louisville, dwelling 358A, family 1370, age 37, occupation Physician. Kittie Forsyth household, 1900 U.S. Census, Cook County, Illinoise, population schedule, Chicago, ED 732, sheet 7A, dwelling 41, family 72, age 66, occupation none. Kitty Forsythl household, 1910 U.S. Census, Bedford County, Kitty Forsythl, population schedule, Forest, ED 0008, sheet 2B, family 31, age 76, occupation Farmer. Kentucky Death Records, 1852-1953 [database on-line]. Provo, UT, USA: The Generations Network, Inc., 2007. Original data:, online www.ancestry.com, Fayette County; File No. 7531. Caroline Schlosser died.1 She was also known as Carol.3 She was born in September 1834 at Germany.1 She was the daughter of Carl Schlosser and Anna (? )3 Caroline Schlosser was included in the census of Carl Schlosser and Anna (?) on 7 August 1850 at St Louis, Missouri.3 Caroline Schlosser married Constantine King, son of Joseph King and Mary O. (? ), on 24 March 1852 at St Louis, Missouri.4,5 Caroline Schlosser and Constantine King appeared on the census of 21 June 1860 in San Francisco, San Francisco County, California.6 Caroline Schlosser and Constantine King appeared on the census of September 1870 in Yuba City, Sutter County, California.7 Caroline Schlosser and Constantine King appeared on the census of 1 June 1880 in Bartlett Springs, Lake County, California.8 Caroline Schlosser was listed in the census of Charles A. King and Sarah Adela Batman on 1 June 1900 at Gravelly Valley and Bartlett Springs, Lake County, California.9 Caroline Schlosser Census indicates 9 children born, 5 still living. on 1 June 1900.9 She died on 31 December 1916 at age 82. Charles King household, 1900 U.S. Census, Lake County, California, population schedule, Gravelly Valley, ED 44, sheet 27, dwelling 11, family 11, age showen as 38, occupation as electrition. Public Member Tree, online search.ancestry.com, Extended Fox Family Tree. Carl Schlosser household, 1850 U.S. Census, St. Louis City, Missouri, population schedule, St Louis, dwelling 122A, family 2141, 2141. Constantine King household, 1880 United States Census, Lake County, Constantine King, population schedule, Bartlett Springs, ED 52, sheet 69A, dwelling 29, family 34. Missouri Marriage Records, 1805-2002 [database on-line]. Provo, UT, USA: The Generations Network, Inc., 2007. Original data: Missouri Marriage Records. Jefferson City, MO, USA: Missouri State Archives. Microfilm., online www.ancestry.com, See St. Louis, Missouri Marriages, 1894-76, Volume/Page: 05-519. Constant King household, 1860 U.S. Census, San Francisco County, California, population schedule, San Francisco, sheet 1033, dwelling 852, family 831, age 35, occupation barber. Constantine King household, 1870 U.S. Census, Sutter County, California, population schedule, Yuba City, sheet 123, dwelling 111, family 97. Constantine King household, 1880 United States Census, Lake County, Constantine King, population schedule, Bartlett Springs, ED 52, sheet 69A, dwelling 29, family 34, age 50, occupation Farmer. Charles King household, 1900 U.S. Census, Lake County, California, population schedule, Gravelly Valley, ED 44, sheet 27, dwelling 11, family 11, age showen as 30, occupation Farmer. Page 40; Dw: 646; Fm: 659 household, 1850 U.S. Census, Cumberland County, North Carolina, population schedule, sheet unknown cd3. John McLauchlin household, 1900 U.S. Census, Cumberland County, North Carolina, population schedule, Quewiffle, ED 28, sheet 8B, dwelling 143, family 138, age 54, occupation Char? W. McLauchlin household, 1880 U.S. Census, Cumberland County, North Carolina, population schedule, Flint Division, ED 63, sheet 487A, dwelling 73?, family 83?, age 79, occupation Farming. Malcolm C. Lamont household, 1870 US Census, Cumberland County, North Carolina, population schedule, Seventy First Township, sheet 80, dwelling 57, family 60, age 48, occupation Farmer. Ohio, County Marriages, 1789-2013, Index and images, FamilySearch, online famlysearch.org, FamilySearch (https://familysearch.org/ark:/61903/1:1:XDL2-WZN : 10 February 2018), Valentine Kaiser and Catharine Baumann, 13 Dec 1850; citing Hamilton, Ohio, United States, reference v A26 p 105; county courthouses, Ohio; FHL microfilm 344,463. California, County Birth and Death Records, 1800-1994, database with images, online www.familysearch.org, FamilySearch ([REFERENCE-ERROR] : [REFERENCE-ERROR]), [REFERENCE-ERROR] > image [REFERENCE-ERROR] of [REFERENCE-ERROR]; California State Archives, Sacramento. Reference ID: 13; GS Film Number: 1832302; Digital Folder Number: 004280964; Image Number: 2158. Valentine Kaiser household, 1910, San Joaquin County, California, population schedule, Castoria, ED 113, sheet 13B, dwelling 161, family 164, age 83, Farmer - General Farm. William Kaiser household, 1900 U.S. Census, San Joaquin County, California, population schedule, Castoria, ED 99, sheet 1A, dwelling 5, family 5, age 73. occupation Land Loard. Valentine Kiser household, 1870 U.S. Census, Stanislaus County, California, population schedule, Empire, sheet 2, dwelling 22, family 18, age 42, occupation Farmer. Valerten Keyan household, 1880 U.S. Census, San Francisco County, California, population schedule, Castoria, ED 106, sheet 238D, dwelling 27, family 27, age 53, occupation Farmer. Charles B. Kaiser household, 1920 U.S. Census, San Francisco County, Charles B. Kaiser, population schedule, Castoria, ED 139, sheet 5A, dwelling 85, family 87, age 42, Farmer - General Farm. Voluintine Keiser household, 1860 U.S. Census, San Jauquin County, California, population schedule, Castoria, sheet 26, dwelling 209, family 219, age 33, occupation Farmer (?). Henry Kaiser household, 1900 U.S. Census, San Joaquin County, California, population schedule, Castoria, ED 99, sheet 1A, dwelling 3, family 3, age 44. occupation Farmer. Peter H. Montross household, 1870 U.S. Census, Luzerne County, Pennsylvania, population schedule, Wilks Barre, sheet 531B, dwelling 488, family 488, occupation carpenter. Michigan, Death Certificates, 1921-1952, index, at FamilySearch, online familysearch.org, FamilySearch (https://familysearch.org/ark:/61903/1:1:KFQ4-R42 : 12 December 2014), Cory Penn Montross, 29 Feb 1952; citing Highland Park, Wayne, Michigan, United States, Division for Vital Records and Health Statistics, Lansing; FHL microfilm 1,972,942. A. P. Winchel household, 1850 U.S. Census, Wyoming County, Pennsylvania, population schedule, Monroe, dwelling 104B, family 1707, 1748. Peter Montros household, 1860 U.S. Census, Wyoming County, Pennsylvania, population schedule, Bowmans Creek, sheet 122, dwelling 743, family 737, age 28, occupation Farmer. Peter Montross household, 1880 U.S. Census, Kent County, Michigan, population schedule, Grand Rapids, ED 149, sheet 496.1000, dwelling 83, family 103, age 46, occupation Carpenter. Unknown cd1 household, 1860 U.S. Census, Culpeper County, Virginia, population schedule, sheet unknown cd3. Sarah Miller household, 1880 U.S. Census, Culpeper County, Virginia, population schedule, Stevensburg, ED 38, sheet 427A, dwelling 56, family 71, age 44, occupation Keeping House. Sarah Miller household, 1900 U.S. Census, Culpeper County, Virginia, population schedule, Culpeper, ED unknown cd3, sheet 4A, dwelling 63, family 67, age 65, occupation None. J. G. Miller household, 1860 U.S. Census, Culpeper County, Virginia, population schedule, Culpeper, sheet 815, dwelling 178, family 158, age 39, occupation Manufacturer. R.H. Miller household, 1860 U.S. Census, Greene County, R.H. Miller, population schedule, P.O. McMullans Mill, dwelling 543, family 517, Age 40, occupation Farmer. John G. Miller household, 1870 U.S. Census, Culpeper County, Virginia, population schedule, Catalpa, sheet 575, dwelling 306, family 315, age 49, occupation Land Agent. Sarah Miller household, 1910 U.S. Census, Culpeper County, Virginia, population schedule, Catalpa, ED 0016, sheet 11A, dwelling 238, family 238, age 75, occupation living on own income. Find A Grave - Memorial Page, online www.findagrave.com, Nancy Clegg Bohart - Find A Grave Memorial# 35757400. Find A Grave - Memorial Page, online www.findagrave.com, John Haynes Bohart - Find A Grave Memorial# 51527992. Peter Bohart household, 1850 U.S. Census, Clark County, Peter Bohart, population schedule, Monroe, dwelling 82B, family 167, age 50, occupation Farmer. John H. Bohart household, 1880 U.S. Census, Nodaway County, John H. Bohart, population schedule, Graham, ED 252, sheet 63D, dwelling age 44, occupation Teamster. Marcus Armfield household, 1860 U.S. Census, Surry County, Marcus Armfield, population schedule, Mount Airy, dwelling 288, family 836, age 25, occupation Farmer. Public Member Tree, online search.ancestry.com, Armfield -rudikazudi. Marion Cannon was born on 30 October 1834 near Morgantown, Virginia (now West Virginia. )1,3 He was the son of James Cannon and Lucinda Rich.2 Marion Cannon was listed in the census of his parents, James Cannon and Lucinda Rich, on 15 August 1850 at Spring Hill, Fayette County, Pennsylvania.2 Marion Cannon married Lydia Jane Holland, daughter of Robert Warren Holland and Isabelle McPherson, on 29 April 1860.1,4,5 Marion Cannon and Lydia Jane Holland appeared on the census of 9 August 1860 in Eureka Township, Nevada County, California.6 Marion Cannon was included in the census of James Cannon and Lucinda Rich on 30 August 1860 at Springhill, Pennsylvania.7 Marion Cannon and Lydia Jane Holland appeared on the census of 14 June 1870 in Nevada City, Navada County, California.8 Marion Cannon and Lydia Jane Holland appeared on the census of 7 June 1880 in Saticoy, Ventura County, California.4 Marion Cannon and Lydia Jane Holland appeared on the census of 20 June 1900 in Saticoy Township.9 Marion Cannon and Lydia Jane Holland appeared on the census of 20 April 1910 in Ventura, Ventura County, California.10 Marion Cannon and Lydia Jane Holland appeared on the census of between 3 February 1920 and 4 February 1920 in Mound Precinct, Ventura, Ventura County, California.11 Marion Cannon died on 27 August 1920 at Ventura, California, at age 85.3 He "CANNON, Marion, a Representative from California; born near Morgantown, Va. (now West Virginia), October 30, 1834; attended the district school; learned the blacksmith trade; moved to California in 1852 and engaged in mining in Nevada County for twenty-one years; elected county recorder of Nevada County in 1869 and served two years; moved to Ventura County, Calif., and settled near Ventura in 1874; engaged in agricultural pursuits; elected first State president of the Farmers’ Alliance November 20, 1890, and reelected October 22, 1891; organized the People’s Party of California October 20, 1891; chosen a representative to the supreme council in Indianapolis November 1891; selected by that body to represent California in the industrial conference at St. Louis February 22, 1892; delegate to the People’s Party National Convention in 1892; elected as Populist to the Fifty-third Congress (March 4, 1893-March 3, 1895); was not a candidate for renomination in 1894; resumed agricultural pursuits until his death at “Ranch Home,” near Ventura, August 27, 1920; interment in Ivy Lawn Cemetery, Ventura, Calif.12 "
Marion Cannon household, 1920 U. S. Census, Ventura County, California, population schedule, Ventura, sheet 290, dwelling 7A, family 91, 94. James Cannon household, 1850 U.S. Census, Fayette County, Pennsylvania, population schedule, Spring Hill, dwelling 90, family 179, 179. United State Government, Biographical Directory of the American Congress, 1774-1749: The Continental Congress September 5, 1774 to October 21, 1788 and the Congress of the United States From the First to the Eightieth Congress March 4, 1788 to January 3, 1949, Inclusive. Marion Cannon household, 1880 U.S. Census, Ventura County, California, population schedule, Saticoy, ED 238B, sheet 18, dwelling 18, family age 45, occupation Blacksmith R.
Public Member Tree, online search.ancestry.com, Totura Family Tree - Patricia Shawley. M Cannon household, 1860 U.S. Census, Nevada County, California, population schedule, Eureka Township, sheet 375, dwelling 2813, age 25, occupation B Smith. Jas Canner (Cannon) household, 1860 U.S. Census, Fayette County, Pennsylvania, population schedule, Springhill, sheet 809, dwelling 1807, family 1806, age 54, occupation B.Smith. Marion Cannon household, 1870 U.S. Census, Navada County, California, population schedule, Nevada, sheet 277, dwelling 189, family 188, age 34, occupation County Recorder. Marion Cannon household, 1900 U.S. Census, Ventura County, California, population schedule, Saticoy, ED 167, sheet 234A, dwelling 120, family 122. Marion Cannon household, 1910 U.S. Census, Ventura County, California, population schedule, Ventura, ED 219, sheet 179A, dwelling 51, family 51, occupation farmer (bean farm). Marion Cannon household, 1920 U. S. Census, Ventura County, California, population schedule, Mound Precinct, sheet 290, dwelling 4A, family 91, 94. Christopher W. Cannon household, 1910 U.S. Census, Ventura County, California, population schedule, Ventura, ED 219, sheet 179A, dwelling 49, family 49, occupation farmer (bean farm). Michael H. Harber household, 1860 U.S. Census, Yalobusha County, Michael H. Harber, population schedule, N E Beat, dwelling 767, family 189, Age 30, occupation Farmer. Find A Grave - Memorial Page, online www.findagrave.com, Michael Hemeter Harbour, Sr - Find A Grave Memorial# 66674113. Find A Grave - Memorial Page, online www.findagrave.com, Mary Elizabeth Catherine "Lizzy" Cofer Harbour - Find A Grave Memorial# 66154745. Hunting For Bears, comp.. Mississippi Marriages, 1776-1935 [database on-line]. Provo, UT, USA: Ancestry.com Operations Inc, 2004., online search.ancestry.com, Michael H. Harbour & Mary Elizabeth Coffer. M. H. Harbour household, 1880 United States census, Yalobusha County, M. H. Harbour, population schedule, Coffeeville, ED 206, sheet 189A, family 248, age 51, occupation Farmer. Cambridgeshire Marriages Transcrption viewed online at FindMyPast, online search.mypast.com, Page: 6; Archive: Lincolnshire Archives; Record set: Lincolnshire Marriages; Category: Birth, Marriage & Death (Parish Registers); Subcategory: Marriages & divorces; Collections from: United Kingdom. Public Member Tree, online search.ancestry.com, Hobley/Todd/Cross Family - tony smith. John Wattam Household, Ashby,Cambridgeshire, 1881 Census Returns of England and Wales; Class: RG11; Piece: 3288; Folio: 20, Page: 32; CSU roll: 1341784, John was a married 46 year old Iron Miner. William Whattam Household, Bottesford, Lincolnshire, 1841 Census Returns of England and Wales. England & Wales, FreeBMD Marriage Index: 1837-1915 [database on-line]. Provo, UT, USA: The Generations Network, Inc., 2006. Original data: General Register Office. England and Wales Civil Registration Indexes. London, England: General Register Office., online www.ancestry.com, Reg. District: Glandford Brigg; Inferred County: Lincolnshire: 7a; Page: 1236. John Whatham Household, Winterton, Lincolnshire, 1871 Census Returns of England and Wales. England & Wales, Birth, marriage and death records, 1837-2008, View at findmypast.co.uk, online www.findmypast.co.uk, District: GLANFORD BRIGG; District number: -; County: Lincolnshire; Country: England; Volume: 7A; Page: 1492; Record set: England & Wales marriages 1837-2008; Category: Birth, Marriage & Death (Parish Registers); Subcategory: Marriages & divorces; Collections from: United Kingdom. John Wattam Household, Ashby, Lincolnshire, 1891 Census Returns of England and Wales. William S. Post household, 1860 U.S. Census, Ulster County, William S. Post, population schedule, Saugerties, dwelling 27, family 201, age 24, occupation Stone Cutter. William S. Post household, 1870 U.S. Census, Greene County, William S. Post, population schedule, Catskill, dwelling 164B, family 1642, age 35, occupation Quarryman. Wm. S. Post household, 1880 U.S. Census, Ulster County, Wm. S. Post, population schedule, Saugerties, dwelling 152, family 200, 357. Georgina Mary Russell was born circa 1835. She was the daughter of George H. Russell and Louisa Hodgkinson.1 Georgina was included in the census of her parents, George H. Russell and Louisa Hodgkinson, on 30 March 1851 at Braddan, Isle of Man, England; This census included Mary Hodgkinson (50), sister-in-law. Louisa's sir name?2 Georgina Mary Russell married Edward James Thrale D'Oyley de Bourbel Money on 31 May 1859 at India? George F. Russell Household, Baddan, Isle of Man, 1851 Census Returns of Isle of Man. India, Select Deaths and Burials, 1719-1948, online at Ancestry.com, online search.ancestry.com, Etty Money, FHL Film Number: 521874. County: London, Middlesex; Volume: 1c; Page: 454. Robert Seabrook Household, Great Coggeshall, Essex, 1841 Census Returns of England and Wales. 1861 British Census Index., online search.ancestry.com, Class: RG9; Piece: 258; Folio: 185; Page: 9; GSU roll: 542601. Robert Seabrook Household, Great Coggeshall, Essex, 1851 Census Returns of England and Wales. Robert Seabrook Household, Great Coggeshall, Essex, 1861 Census Returns of England and Wales. England Marriages 1538-1973 Transcription online at findmypast, online search.findmypast.com, County: London; Country: England; Record set: England Marriages 1538-1973; Category: Birth, Marriage & Death (Parish Registers). 1871 British Census Index., online search.ancestry.com, Benjamin Youe - Class: RG10; Piece: 431; Folio: 115; Page: 3; GSU roll: 824634. Benjamin T. Youe Household, Spitalfield, Middlesex, 1881 Census Returns of England and Wales. Charles D. Morrell household, 1880 U.S. Census, York County, Maine, population schedule, Cornish, ED 189, sheet 214A, dwelling 5, family 5, age 51, occupation Farmer. Levi Morrill household, 1860 U.S. Census, York County, Maine, population schedule, Cornish, sheet 0, dwelling 67, family 73, age 31, occupation Farmer. Charles D. Morrill household, 1870 U.S. Census, York County, Maine, population schedule, Corniah, sheet unknown cd3, dwelling 229, family 79, 94. Charles D. Morill household, 1900 U.S. Census, York County, Maine, population schedule, Cornish, ED 232, sheet 3A, dwelling 47, family 49, age 71, occupation Farmer. Barghouti, Kim, comp.. Nevada State Census, 1875 [database on-line]. Provo, UT, USA: The Generations Network, Inc., 2000. Original data: Report booklet published for the state in 1876. Carson City, NV, USA: State Publishing Office, 1876., online www.ancestry.com. Elizabeth Oben (Ober) household, 1850 U.S. Census, Van Buren County, Elizabeth Oben (Ober), population schedule, Keosauqua, dwelling 330, family 65, age 37, occupation Farm. E. A. Ober household, 1870 U.S. Census, Washoe County, E. A. Ober, population schedule, Franktown, dwelling 460, family 3, age 22, occupation Keeping House. James Mc Elrath household, 1880 U.S. Census, Kent County, Michigan, population schedule, Ada, ED 124, sheet 44C, dwelling 88, family 92, age 45, occupation Farmer. James Mc Elrath household, 1860 U.S. Census, Kent County, Michigan, population schedule, Grand Rapids, sheet 385, dwelling 982, family 964, age 24, occupation Gardner. James Mc Elrath household, 1870 U.S. Census, Kent County, Michigan, population schedule, Grand Rapids, sheet 325A, dwelling 106, family 103, age 34, occupation Gardener. Michigan Marriages, 1868-1925, Return of Marriages at FamilySearch, online https://beta.familysearch.org, KPhillip Jablonski and Jennie M. Vinson. FamilySearch Reference - Film Number: 2342515; Digital Folder Number: 4208648; Image Number: 123; Reference Number: v 3 p 553 rn 15328. Michigan Deaths and Burials, 1800-1995 - viewed at FamilySearch, online https://familysearch.org/search/, index, FamilySearch (https://familysearch.org/pal:/MM9.1.1/FHN4-49H : accessed 27 Sep 2013), Thomas Jablousky, 01 Oct 1878. Thomas Joblinska household, 1870 U.S. Census, Ottawa County, Michigan, population schedule, Chester, sheet 21B, dwelling 33, family 33, age 35, occupation Farmer. Annie Jablonski household, 1880 U.S. Census, Ottawa County, Michigan, population schedule, Chester, ED 231, sheet 225A, dwelling 157, family 161, age 38, occupation Keeping House. Michigan Marriages, 1868-1925 - as view on FamilySearch.Org, online https://familysearch.org/, Photo copy of State of Michigan, Return of Marriages for the County of Kent. Film Number: 2342493; Frame Number: Digital Folder Number: 4208247; Image Number: 188; Reference Number: v 2 p 497 rn 5636. 1881 British Census: Ancestry.com. Provo, UT: Ancestry.com, 2002-. Indexed by Ancestry.com from microfilmed schedules of the England 1881 Census. Images reproduced by courtesy of the Public Record Office, London, England., online search.ancestry.com, Charles Abbott: Source Citation: Place: Los Angeles; Date: 31 May 1948; Social Security: 0. 1851 British Census Index., online search.ancestry.com, George Abbott: Class: HO107; Piece: 1745; Folio: 172; Page: 2; GSU roll: 87700. England, Births & Baptisms 1538-1975 Transcription, online search.findmypast.ccm, Father's first name(s): George; Father's last name: Abbott. 1861 British Census Index., online search.ancestry.com, Charlses Abbett: Class: RG 9; Piece: 989; Folio: 103; Page: 2; GSU roll: 542732. Lucy Abbott Household, Lowick, Bedforshire, 1841 Census Returns of England and Wales. George Abbott Household, Lowick, Northamptonshire, 1851 Census Returns of England and Wales. Charlses Abbett Household, Bedford St. Peter, Bedforshire, 1861 Census Returns of England and Wales. Charles Abbott Household, St Paul, Bedfordshire, 1871 Census Returns of England and Wales. Charles Abbott Household, St Paul, Bedfordhire, 1881 Census Returns of England and Wales. John Galigher household, 1880 U.S. Census, Boone County, John Galigher, population schedule, Belvidere, ED unknown cd3, sheet 337D, dwelling 130, family 130, age 53, occupation Laborer. John Gallagher household, 1870 U.S. Census, Boone County, Illinois, population schedule, Belvidere, sheet 340A, dwelling 336, family 345, age 36, occupation Day Farmer. Andrew Dwelly household, 1860 U.S. Census, Washington County, Maine, population schedule, Crawford, sheet 240, dwelling 91, family 90, age 29, occupation Farmer. Andrew Dwelly household, 1870 U.S. Census, Washington County, Maine, population schedule, Crawford, sheet 163B, dwelling 24, family 23, age 38, occupation Farmer. Andrew J. Dwelley household, 1900 U.S. Census, Washington County, Maine, population schedule, Crawford, ED 0202, sheet 13B, dwelling 270, family 275, age 68, occupation Farmer. Ancestry.com. New York Passenger Lists, 1820-1957 [database on-line]. Provo, UT, USA: MyFamily.com, Inc., 2006. Original data: New York. Passenger and Crew Lists of Vessels Arriving at New York, New York, 1897-1957. Micropublication T715. Rolls # 1-8892. National Archives, Washington, D.C., online www.ancestry.com, Year: 1860; Arrival: New York, New York; Microfilm Serial: M237; Microfilm Roll: 206; Line: 25; List Number: 1024. Virginia, Deaths and Burials Index, 1853-1917 - Virginia, Deaths and Burials Index, 1853-1917 [database on-line]. Provo, UT, USA: Ancestry.com Operations, Inc., 2011. Original data: Vrginia Deaths and Burials, 1853–1912." Index. FamilySearch, Salt Lake City, Utah, 2010. Index entries derived from digital copies of original and compiled records., online search.ancestry.com, ather Name: Elijah Flanary; Mother Name: Celia Flanary; Spouse Name: Elizabeth Flanary; FHL Film Number: 2048576. Virginia, Deaths and Burials Index, 1853-1917 - Virginia, Deaths and Burials Index, 1853-1917 [database on-line]. Provo, UT, USA: Ancestry.com Operations, Inc., 2011. Original data: Vrginia Deaths and Burials, 1853–1912." Index. FamilySearch, Salt Lake City, Utah, 2010. Index entries derived from digital copies of original and compiled records., online search.ancestry.com, Father Name: Samuel Daugherty; Mother Name: Polly Daugherty; Spouse Name: Harvey H. Flanary; FHL Film Number: 2048576. Original data: Kentucky. Kentucky Birth, Marriage and Death Records – Microfilm (1852-1910). Microfilm rolls #994027-994058. Kentucky Department for Libraries and Archives, Frankfort, Kentucky, online search.ancestry.com. Harvey Flannery household, 1860 U.S. Census, Harlan County, Harvey Flannery, population schedule, Harlan Courthouse P.O., dwelling 429, family 717, age 22, occupation Farmer. Public Member Tree, online search.ancestry.com, John Mason Family Tree - Beth Valentine. Bushrod Taylor household, 1870 U.S. Census, Hamilton County, Ohio, population schedule, Cincinnati, sheet 28B, dwelling 14, family 14, age 44, occupation Physician. Bushrod Taylor household, 1880 U.S. Census, Hamilton County, Bushrod Taylor, population schedule, Cincinnati, ED 203, sheet 500D, dwelling 51, family 55, age 51, occupation Physician. John W. Meador household, 1880 U.S. Census, Cowley County, John W. Meador, population schedule, Rock Creek, ED 179, sheet 577D, dwelling age 47, occupation Farmer. Missouri, Marriages, 1750-1920, Index At FamilySearch, online familysearch.org, FamilySearch (https://familysearch.org/pal:/MM9.1.1/V28N-4WC : accessed 25 Sep 2014), John Meador and Rebecca Bovher, 20 Jul 1855; citing Jackson,Missouri; FHL microfilm 1019759. Isaac Hawn household, 1870 U.S. Census, Washington, Indiana, population schedule, Gibson, sheet 236B, dwelling 191, family 195, age 39, occupation Farming. Frederick Huckleberry household, 1850 U.S. Census, Washington County, Frederick Huckleberry, population schedule, Gibson, dwelling 413A, family 155, age 44, occupation Laborer. Isaac Hon household, 1860 U.S. Census, Washington County, Indiana, population schedule, Gibson, sheet 351, dwelling 1257, family 1257, age 29, occupation Farmer. Isaac Hawn household, 1880 U.S. Census, Washington County, Isaac Hawn, population schedule, Gibson, dwelling 175, family 81, 81. Patrick Farrell household, 1860 U.S. Census, Rock County, Wisconsin, population schedule, Magnolia, sheet 465, dwelling 1026, family 1026, age 29, occupation Farmer. Connecticut, Town Marriage Records, pre-1870 (Barbour Collection) [database on-line]. Provo, UT, USA: Ancestry.com Operations Inc, 2006. Viewed online at Ancestry.com, online search.ancestry.com. Find A Grave - Memorial Page, online www.findagrave.com, Jeb S. Wager - Find A Grave Memorial# 7500288. Jas. P. Wager household, 1880 U.S. Census, Culpeper County, Virginia, population schedule, Jefferson, ED 035, sheet 366C, dwelling 78, family 79, age 55, occupation Farmer. Jas P. Wager household, 1860 U.S. Census, Culpeper County, Virginia, population schedule, Homeland P.O., sheet 821, dwelling 223, family 199, age 35, occupation Farmer. James P. Wager household, 1870 U.S. Census, Culpeper County, Virginia, population schedule, Jefferson, sheet 610B, dwelling 328, family 350, age 44, occupation Farmer. Z. L. Tripp household, 1860 U.S. Census, Union County, Z. L. Tripp, population schedule, Morganfield P.O., dwelling 438, family 901, age 25, occupation Farmer. Charles M. Small household, 1860 U.S. Census, Oxford County, Charles M. Small, population schedule, Roxbury, dwelling 728, family 133, age 25, occupation Farmer. C. M. Small household, 1870 U.S. Census, San Joaquin, California, population schedule,Stocton. Public Member Tree, online search.ancestry.com, Cwayna/Ford Family 2012-01 - GCwayna. Patrick Delany household, 1880 U.S. Census, San Joaquin, California, population schedule, Stockton, ED 100, sheet 112A, dwelling 47, family 47, age 45, occupation Teamster. California, County Marriages - viewed at FamiySearch, online www.familysearch.org, FamilySearch (https://familysearch.org/ark:/61903/1:1:K825-8YY : 10 December 2017), William S Jack and Lizzie Delaney, 06 Jun 1883; citing San Joaquin, California, United States, county courthouses, California; FHL microfilm 1,841,856. Patrick Delany household, 1860 U.S. Census, Clark County, Missouri, population schedule, Alexandria, sheet 830, dwelling 153, family 153, age 23, occupation Laborer. Charles D. Slaughter household, 1850 U.S. Census, Pittsylvania County, Charles D. Slaughter, population schedule, Danville, dwelling 167A, family 94, age 37, occupation ? (Probably Farmer). James Withrow household, 1860 U.S. Census of Fairfax County Virginia, Fayette County, Virginia, population schedule, Mountain Cove P.O., sheet 58, dwelling 429, family 386, age 33, occupation Farmer. David Taylor household, 1870 U.S. Census, San Luis Obispo County, David Taylor, population schedule, Morro, dwelling 282B, family 52, age 41, occupation Farmer. John Duncan household, 1880 U.S. Census, Grant County, Wisconsin, population schedule, Waterloo, ED 126, sheet 375D, dwelling 51, family 51, age 45, occupation Farmer. William Pafford household, 1860 U.S. Census, Grant County, Wisconsin, population schedule, Beetown, sheet 180, dwelling 1366, family 1337, age 30, occupation Miner. William Pafford household, 1870 U.S. Census, Grant County, Wisconsin, population schedule, Beetown, sheet 2, dwelling 15, family 15, age 40, occupation miner. Anson Critcher household, 1850 U.S. Census, Granville County, North Carolina, population schedule, Oxford, sheet 104B, dwelling 78, family 78, age 39, occupation Farmer. North Carolina, County Marriages, 1762-1979 viewed online at FamilySearch, online familysearch.org, FamilySearch (https://familysearch.org/ark:/61903/1:1:F8FH-13T : 22 December 2016), John D. Barnett and Rebecca G. Critcher, 18 Jun 1853; citing , Granville, North Carolina, United States, p. #1248, North Carolina State Archives Division of Archives and History; FHL microfilm 19,009. Jon Upchurch household, 1870 U.S. Census, Scott County, Jon Upchurch, population schedule, Estillville, dwelling 486B, family 160, age 22, occupation Farm Laborer. John G. Upchurch household, 1880 U.S. Census, Scott County, Virginia, population schedule, Powell, ED 79, sheet 291D, dwelling 39, family 39, age 31, occupation Farmer. Alexander Steel household, 1850 U.S. Census, Jackson County, Missouri, population schedule, Sni-A-Bar, dwelling 337, family 1442, 1442. Elzy F Saunders household, 1860 U.S. Census, Jackson County, Missouri, population schedule, Sniabar, sheet 430, dwelling 14116, family 1320, age 31, occupation Farmer. Missouri, Marriages, 1750-1920, Index At FamilySearch, online familysearch.org, FamilySearch (https://familysearch.org/ark:/61903/1:1:V28N-Z2W : 11 February 2018), Elzy M. Sanders and Elizabeth Jane Steel, 27 Nov 1850; citing Jackson,Missouri; FHL microfilm 1,019,759. E Sanders household, 1870 U.S. Census, Jackson County, Missouri, population schedule, Sniabar, sheet 23A, dwelling 24, family 24, age 35, occupation Keeps House. Elizabeth Sanders household, 1880 United States census, Jackson County, Elizabeth Sanders, population schedule, Lees Summit, ED 36, sheet 215D, dwelling 35, family 39, age 45, occupaton Keepring House. Elizabeth Sanders household, 1910 U.S. Census, Jackson County, Elizabeth Sanders, population schedule, Prarie, ED 209, sheet 8B, dwelling 217, family 219, age 74, occupation Keeping House. L. R. Sparks household, 1850 U.S. Census, Jefferson County, Wisconsin, population schedule, Cold Springs, dwelling 168, family 945, 945. Riley O. Allen household, 1860 U.S. Census, Sauk County, Wisconsin, population schedule, Spring Green, sheet 827, dwelling 930, family 910, age 25, occupation Blacksmith. Historical Data Systems, comp.. American Civil War Soldiers [database on-line]. Provo, UT, USA: The Generations Network, Inc., 1999. Original data: Data compiled by Historical Data Systems of Kingston, MA. Copyright 1997-2000,Historical Data Systems, Inc. PO Box 35 Duxbury., online www.ancestry.com. Charles R. Allen household, 1870 U.S. Census, Umatilla County, Oregon, population schedule, Weston, sheet 367A, dwelling 56, family 55, occupation farmer. Certificate of Marriage For Laura K. Allen and G.D. Steele. National Archives and Records Administration. Civil War Pension Index: General Index to Pension Files, 1861-1934 [database on-line]. Provo, UT, USA: The Generations Network, Inc., 2000. Original data: General Index to Pension Files, 1861-1934. Washington, D.C.: National Archives and Records Administration. T288, 544 rolls., online www.ancestry.com, Widow Application Number: 506338; Certificate 396574. Minor Application Number: 330259; Certificate: 413664. Des Moines County Iowa, Portrait and Biographical Album of Des Moines County, Iowa, Page 227. Alexander Davisl household, 1860 U.S. Census, Des Moines County, Iowa, population schedule, Burlington, sheet 181, dwelling 1426, family 1380, age 54, occupation Farmer. Alexander David household, 1850 U.S. Census, Des Moines County, Iowa, population schedule, Burlington, dwelling 464, family 1298, 1338. Iowa, Deaths and Burials, 1850-1990," index, FamilySearch, online familysearch.org, FamilySearch (https://familysearch.org/pal:/MM9.1.1/XV4D-FX7 : accessed 27 Jan 2014), Clarinda Herrill, 20 Feb 1899. Reubin Steel household, 1850 U.S. Census, Scott County, Virginia, population schedule, Western District, dwelling 446, family 1288, 1288. Henrietta Reynolds, Pioneers Of Sand - Plains in San Joaquin County, California, page 38. From head-stone of Cutler Salmon. James TSalmon household, 1880 U.S. Census, San Joaquin, California, population schedule, Castoria, ED 237A, sheet 3, dwelling 3, family occupation farmer. Cutler Salmon household, 1860 U.S. Census, San Jauquin County, California, population schedule, Castoria, sheet 888, dwelling 167, family 171, occupation farmer. Cutler Salmon household, 1850 U.S. Census, Grant County, Wisconsin, population schedule, District 24, dwelling 33, family 461, 461. Henrietta Reynolds, Pioneers Of Sand - Plains in San Joaquin County, California, page 39. Notes from San Joaquin County History 1890. Public Member Photos & Scanned Documents posted on Ancestry.com - Death Certificate, online mv.ancestry.com, photo copy of marriage license for James T Salmon and Nancy J. Sperry originally posted by Ancestry member GramlynB. James Salmon household, 1860 U.S. Census, San Jauquin County, California, population schedule, Castoria, sheet 888, dwelling 168, family 172, occupation farmer. James T. Salmon household, 1880 U.S. Census, San Joaquin, California, population schedule, Castoria, ED 237A, sheet 3, dwelling 3, family occupation farmer. James T. Salmon household, 1880 U.S. Census, San Joaquin, California, population schedule, Castoria, ED 106, sheet 237A, dwelling 3, family 3, age 47, occupation Farmer. James T. Salmon household, 1900 U.S. Census, San Joaquin County, California, population schedule, Castoria, ED 99, sheet 3A, dwelling 45, family 45, age 66, occupation Farmer.